To supplement the medical lipid evaluation and treatment by Dr. Brinton, the Utah Lipid Center offers expert dietary consultations. The Utah Lipid Center has four nurses who lend their expertise to the LDL apheresis program, Brad Martin, RN, Patti Stringham, RN, Christine Jenson, RN, and Becky Jenson, RN. LDL apheresis is FDA approved for treatment of severe hypercholesterolemia, refractory to medical therapy, and we are the only LDL-apheresis site between Denver and the West Coast. We have several years' experience with the Kaneka Liposorber and are one of very few LDL apheresis centers in the US also offering patients a choice of the newly updated Braun HELP apheresis device. In addition to LDL apheresis, we offer advanced medical treatment for severe hypercholesterolemia, severe hypertriglyceridemia, and statin intolerance. The Utah Lipid Center, in Salt Lake City, has the only LDL apheresis program between Denver and the West Coast. We accept physician- and self-referrals from the 7-state Intermountain Region, across the US and from foreign countries for severe or difficult-to-manage dyslipidemias. We do not provide primary care or cardiology care, just specialty treatment for dyslipidemias and related disorders, such as diabetes and obesity. The Utah Lipid Center serves patients of all ages, including children with severe lipid disorders. Dr. Brinton is the President of the American Board of Clinical Lipidology, which certifies all lipidologists in the US. His medical training was at the University of Utah and Duke University, after which he did a fellowship at the University of Washington in Metabolism, Endocrinology and Nutrition. He has over 30 years experience in research, teaching and clinical work in Lipidology, having been a member of the faculty of several prestigious institutions including the Rockefeller University, Wake Forest University, the University of Arizona and the University of Utah. 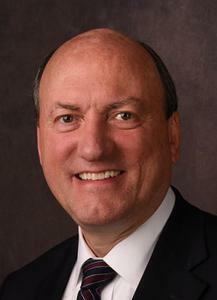 He is President of the Utah Atherosclerosis Society and the Atherometabolism Institute, and Director of Atherometabolic Research at the Utah Foundation for Biomedical Research. Dr Brinton has had numerous scientific publications and awards, and was selected co-recipient (with Jan L. Breslow, MD, Professor at the Rockefeller University) of the 2012 Robert I. Levy Award from the Kinetics and Metabolism Society, for excellence in human lipoprotein metabolism research. The Intermountain Lipid Center, LLC was founded in November 2011. In 2012 it began "doing business as" (dba) The Utah Lipid Center. "The Intermountain Lipid Center" is the name by which our center is known among insurers and other 3rd-party payers. 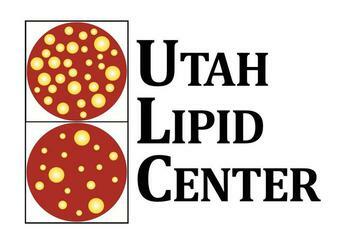 "The Utah Lipid Center" is the name by which our center is known among physicians, patients and the public at large.